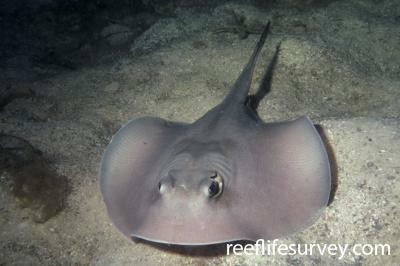 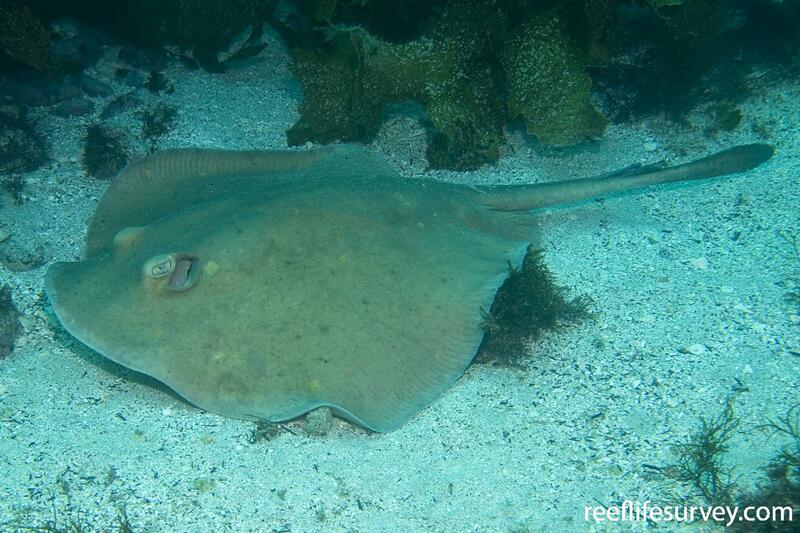 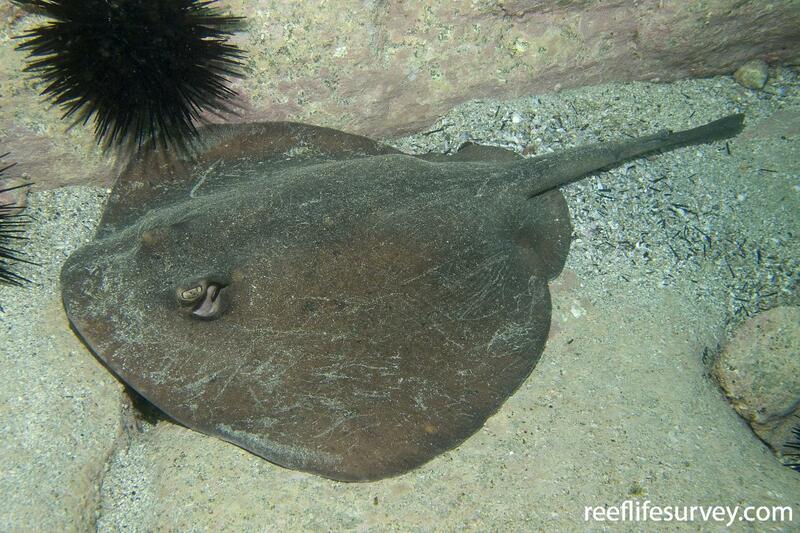 Medium-sized ray with a dark brown to grey upper surface. 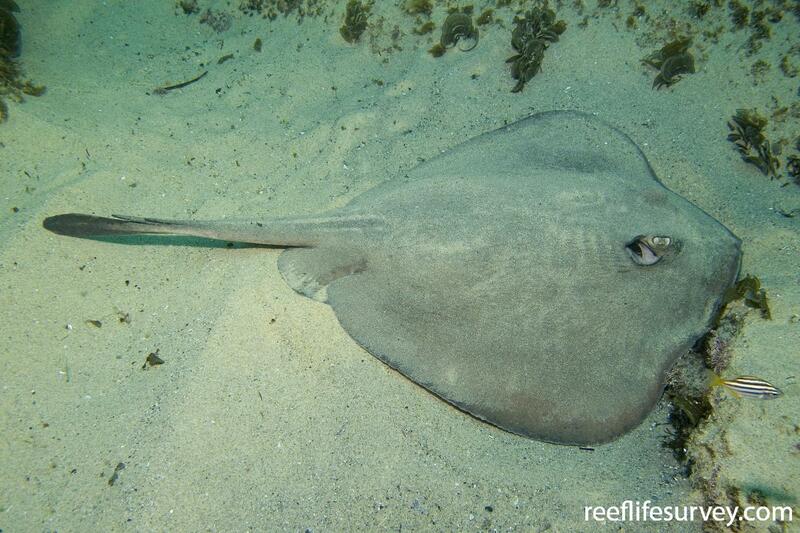 A similar stingaree in shallow NSW waters, the common stingaree Trygonoptera testacea, differs in possessing a very small dorsal fin in front of the tail spines, although in some individuals this is difficult to see as it may only be the size of a skin fold. 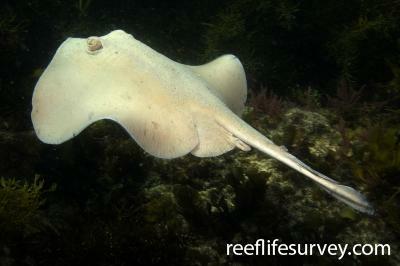 Abundance is calculated as the average number of individuals recorded per RLS transect, where present.